Oscar-award winning film maker Shekar Kapur asks Sadhguru about stress, who looks at the shift we need to engineer within ourselves in order to get rid of stress. Shekhar Kapur: Since I’m having the chance to interview you, I know people will say, “Well, why didn’t you ask about how to get rid of stress?” Is there a definition that we can assign to the idea of stress? Sadhguru: When I first went to the United States a few years ago, wherever I went, everybody was talking about “stress management.” I really didn’t get this because in my understanding, we manage things which are precious to us – our business, our family, our money, our wealth, our children. Why would anyone manage stress? It took me a while to understand that people have concluded that stress is a part of their lives. Stress is not a part of your life. Stress is just your inability to manage your own system. Stress happens not because of the nature of your work. The Prime Minister is complaining of stress, the peon is also complaining of stress. In between, every other person is saying his job is stressful. And those who are unemployed also find their situation stressful. So you are suffering your job – if I get you fired, will you be joyful? Sadhguru: No. 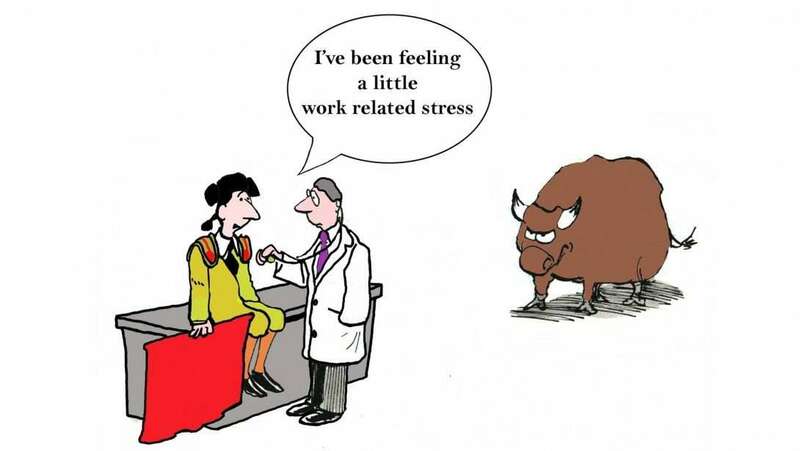 So stress is obviously not about your job, isn’t it? It is just that you do not know how to manage your body, your mind, your emotions, your energy, your chemistry – you do not know how to manage anything. You are functioning by accident, so everything is stressful. If you get into a car where if you turn the steering wheel one way, the car goes in the opposite direction, you’ll be stressed, isn’t it? Sadhguru: Right now, that’s the kind of mechanism you are driving. Without understanding anything about it, just by chance, you are blundering through life – so you will be stressful. Stress is not because of the nature of the activity that you are performing or because of life situations. Stress is simply because you do not know how to manage your own system. What is stressful for one person, someone else breezes through – isn’t it so? Sadhguru: So stress is just an inability to manage the inner situation, not the outer situation. Essentially, the quality of our lives changes and transforms not because we change the content of our lives, but only because we change the context of our lives. If someone is living a beautiful life, it does not mean he is doing something different. When he wakes up in the morning, he also goes to the toilet. He also brushes his teeth. He also does the same things. But somehow, his life is magical and beautiful because of the context. The first and foremost thing we need to work at is to make a human being peaceful and joyful. This will invariably happen if you do the right type of yoga. This could have happened to people when they fall in love with someone. When they fell in love, and everything becomes different because the context of their life has changed. But then, once they fall out of love, again, the context of their life changes and they become miserable. Changing the content of your life as you wish may not be possible because you need permission from the situations in which you exist, but changing the context is something that you can do willfully. You don’t need anyone’s permission. It is not at all situational. On a certain day, three men were working in one place. Another man came by and asked the first man, “What are you doing here?” The man looked up and said, “Are you blind? Can’t you see I’m cutting stone?” This person moved on to the next man and asked, “What are you doing here?” That man looked up and said, “Something to fill my belly. So I come here and do whatever they ask me to do. I just have to fill my belly, that’s all.” He went to the third man and asked, “What are you doing here?” That man stood up in great joy and said, “I’m building a beautiful temple here!” All of them were doing the same thing, but their experience of what they were doing was worlds apart. Every human being, every moment of his life could be doing whatever he is doing in any one of these three contexts – and that will determine the quality of his life, not what he is actually doing. How simple or complex an activity is doesn’t change the quality of your life. With what context you do it changes the quality of your life. If you look at your ability to handle various situations in your life, is it better when you are feeling very happy or unhappy? When you are joyful, you are willing to take up any number of things and do it. When you are stressed, you don’t want to do even the simplest things – it sets up a different kind of momentum within you. So the first and foremost thing we need to work at is to make a human being peaceful and joyful. This will invariably happen if you do the right type of yoga. If it is done properly – because yoga is a subjective science – if it is delivered properly, it will work like a miracle and make this happen. Editor’s Note: Inner Engineering offers tools to find balance between the challenges of a hectic career and the inner longing for peace. The program offers the opportunity to be initiated into the Shambhavi Mahamudra, a powerful kriya, by a realized Master. Could you email me with any hints about how you made your blog look like this, Id be thankful.